I read this article and found it very interesting, thought it might be something for you. The article is called When Twinning is Losing and is located at http://modernloss.com/when-twinning-is-losing/. My mom was an identical twin. Penny Jo and Paula Jean were born minutes apart. One was a tad older, the other a hair taller. Growing up, they were nearly indistinguishable from one another, even for family. As teenagers, they occasionally played jokes on their dates by subbing for one another. Many years later, they got married within a few weeks of each other, and their husbands — Roland and Jim, respectively — even bore an uncanny resemblance to one another. Roland and Jim weren’t twins, but they could have been brothers. My mom and dad, Penny Jo and Roland, were killed in a car accident nearly 25 years ago, when I was in college. Aunt Paula was at my and my sister’s side throughout. She drove us to the funeral home, where we signed the cremation papers. She counseled us on headstone design. She stayed with us for a full month after the funeral. We grieved together, at times what felt like endlessly. She was our rock. I still remember Aunt Paula’s first phone call to me after she had returned home. I picked up the phone and heard Mom’s voice. It was an acoustic phantom. I dropped the phone and blacked out. I still remember Aunt Paula’s first phone call to me after she had returned home. I picked up the phone and heard Mom’s voice…I dropped the phone and blacked out. For the next couple of years, we would speak only when calls were scheduled or someone else picked up the phone first. Thankfully, that strategy worked well. Over time, I began to love hearing from Aunt Paula, because it helped keep Mom’s voice and memory alive as well. 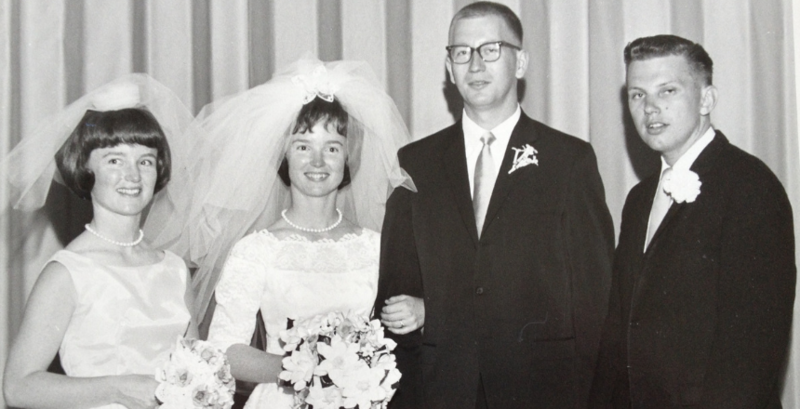 Ever since my parents’ accident, Aunt Paula played a wonderful, outsized role in our lives. We could imagine how Mom might have aged. Aunt Paula told us stories about their childhood, hopes, dreams, challenges and mightiest moments. She and Uncle Jim attended my college graduation, in lieu of my parents. When my sister had children, Aunt Paula made beautiful picture books about Grandma Penny’s life, so that her grandchildren could know more about the grandmother they would never meet in person. Through these experiences, I also learned more about my mother than I might have known even had she lived. We made a point to ask questions, wonder out loud, and proactively prepare for future death within the family. It didn’t feel morbid; it felt loving, natural and responsible. Despite the grace and goodness Aunt Paula brought to our lives, she suffered tremendously. She was never quite the same after losing her identical twin. It was as though a piece of her was gone forever, too. Twins are one of life’s most magical creations, sharing a bond that no one else ever will, regardless of how many siblings or friends one has. 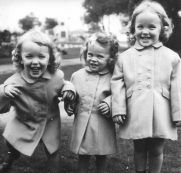 Losing an identical twin transcends typical descriptions of “loss.” For the other twin, the loss can be greater; for friends, the loss may be dampened. This experience has made me think differently not only about grief and loss, but how heartstrings themselves are intertwined. As we rebuilt our lives, Aunt Paula did her best, but nothing ever replaced the person she’d shared a womb with. Penny and Paula had even participated in a twin study (of how twins change over time in terms of physical and mental health, etc.) which would no longer be possible. Earlier this year, and nearly six after suffering a bad accident which left her partially paralyzed, Aunt Paula took a nap and never woke up. (She used to wonder whether she would die from an accident, like Penny did.) In a breath, it was a double loss for me: both a beloved aunt and the living link to my mom. When I got the phone call from my cousin sharing the news, I had a flashback to when I had received a phone call from my sister about my parents so many years ago. Yet while the pang that hit my heart felt remarkably similar, I felt far more rooted in my grief. I immediately felt more capable, more present, and more at peace. I realized how far I’d come in the past two-plus decades. It was also a double emotion. Along with the sadness of loss, there was — and is — a profound sense of shared solace, gratitude and even joy among me, my sister, our cousins, aunts and uncle that Penny and Paula’s spirits are finally back together. April Rinne is an independent advisor, speaker and globetrotter. More at AprilRinne.com.